Supernatural itself already feels like it’s going to keep running well beyond the fall of human civilization (and perhaps even the universe) itself. 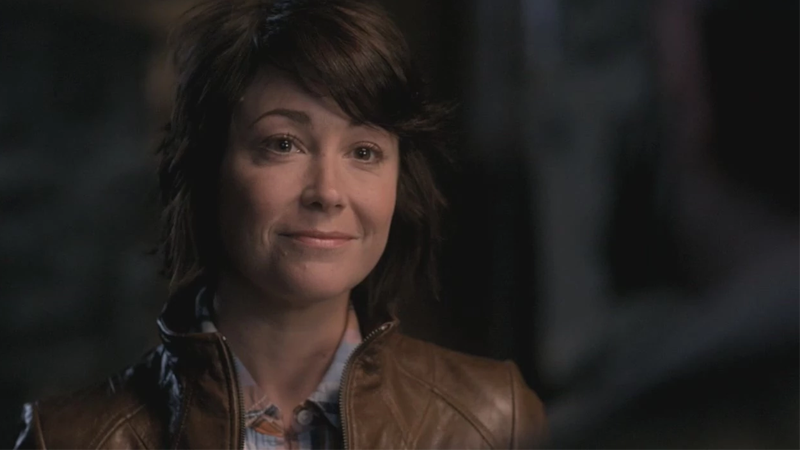 But now the Winchesters’ world is about to get a little bit bigger, in the form of a new spinoff show currently being planned around Kim Rhodes’ recurring character on the series. Deadline reports that the 13th season of the show—which, among other things, will feature an entirely animated episode of the series, crossing over with Scooby-goddamn-Doo—will also feature a backdoor pilot for a potential spinoff in the form of Wayward Sisters. The episode, and the series itself, will follow Rhodes’ character, Sheriff Jody Mills, as she takes a group of young women in her care and teaches them to be monster hunters in the vein of the Winchester brothers. Although Rhodes’ character is currently the only one attached to the new series so far, Deadline reports that there are plans to bring over other characters from Supernatural to Wayward Sisters—including Claire Novak (Kathryn Love Newton) and Alex Jones (Katherine Ramdeen), who, alongside Mills, have been the subject of previous fan campaigns to give the characters their own spinoff under the banner “Wayward Daughters,” hence the nod to the fans in the title of the new series. This isn’t the first time Supernatural has planned to introduce a spinoff series—season nine featured an episode that intended to launch a Chicago-based spinoff about rival monster and hunter gangs called Bloodlines, but the series was never picked up. The same fate may befall Wayward Sisters yet, but for now, there’s a chance there’s going to be even more monster hunting coming to the CW. One of the First Attempts at a Big CW Crossover Event Involved Supernatural and... Smallville?